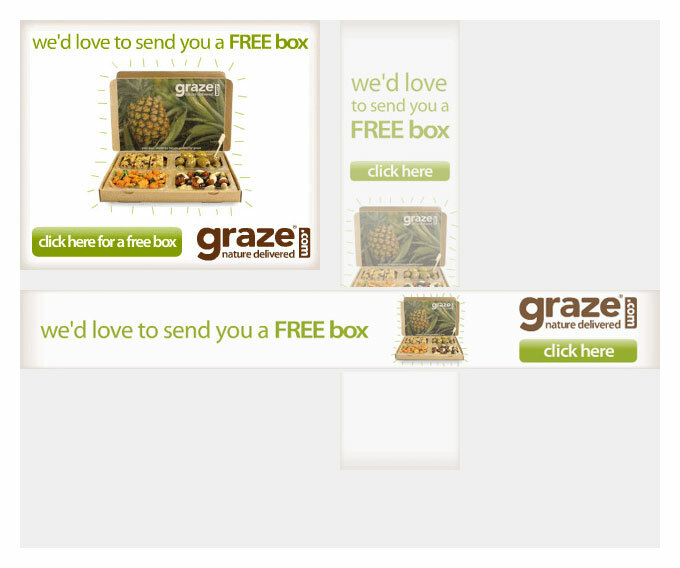 Online banner campaign for graze, a healthy food delivery company that delivers snacks to your door. 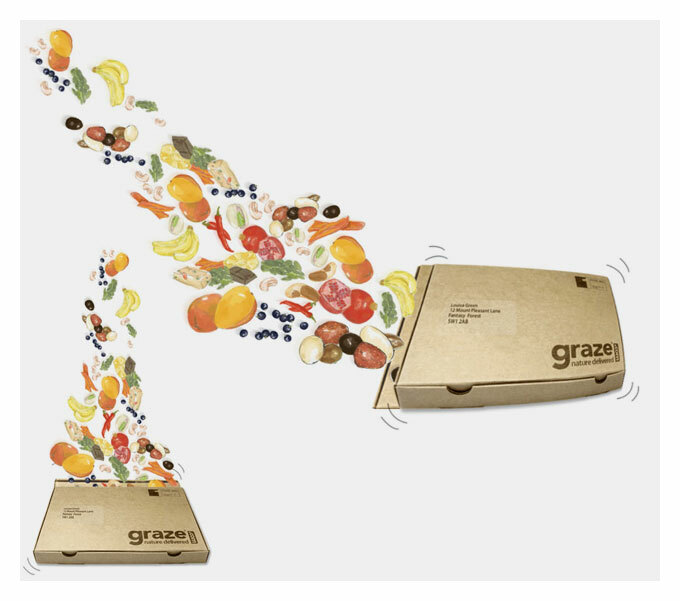 Working with the idea of ‘nature delivered’,the digital banner campaign highlighted the concept that each graze box was packed with fresh, natural ingredients delivered straight to you. 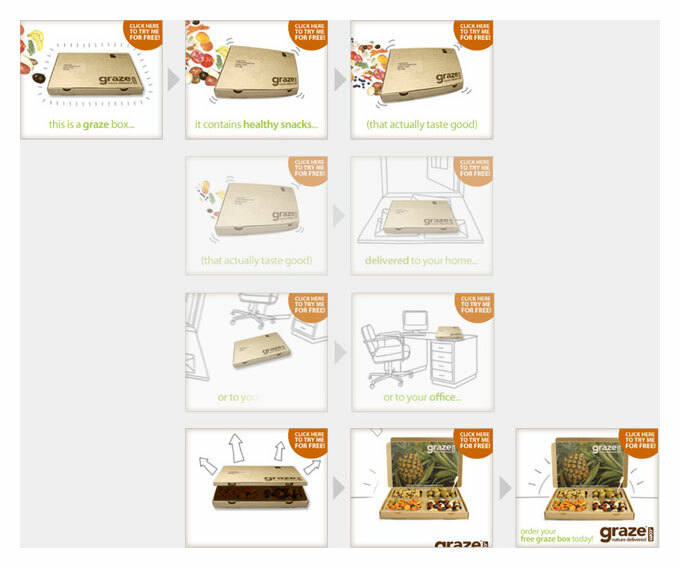 The animation focussed on making the graze box the ‘hero’, displaying the box moving across various scenarios, highlighting the quality of product, as well as the convenience of the system.